Notion (notion.so) shamelessly claims to be an All-in-One productivity app, something we all thought we will never hear again. Moreover, we trained ourselves to laugh and ignore when we see these forbidden words. Yet, Notion app, that is titling itself loudly as All-in-One, is getting a lot of attention and nobody laughs. On the contrary, we hear WOWs and moanings. Notion is making a buzz among productivity-gurus and advocates. The rising of Notion is emphasized while in the background Evernote is struggling. As I followed the reviews and discussions about Notion, I have noticed a repeating motive: A mix of enthusiasm and confusion. many productivity experts and influencers who reviewed Notion app, strongly recommended it and at the same time, they had difficulty explaining how to use it. Phrases like “many useful stuff”, “a lot of productivity options” have been said alongside the general agreement that the Notion application is NOT an All-in-One tool\app\platform\solution. Notes & Docs – Replacement to Evernote and Google Docs. The promise: A simple, beautiful writing experience, with 30+ media types. Knowledge Base – Replacement to Confluencer and GitHubWiki. The promise: Turn your tribal knowledge into easy-to-find answers. Tasks & Projects – Replacement to Trello, Asana and Jira. The promise: Kanban board, calendar, and list views. Lightweight yet flexible. Spreadsheets & Databases – Replacement to Google Sheets and Airtable. The promise: Keep records of everything. Capture your unique workflows. In an interview with Ivan Zaho, Notion’s founder, he described Notion as “the next generation of Microsoft Office”. For the purpose of the test, I allocated some personal stuff, a shared project that I am trying to push to our team and a new and relatively complex project – planning, developing and launching a new e-commerce website for a client. Well, after 48 hours with Notion app (free account), I got to the limit of 1,000 blocks and to a decision to become a paying customer ($48 per year). There was no doubt about me continue using Notion. Now there is a reminder task, to renew the payments for my Notion account, set for September 2019 – in my Asana. A dashboard is a tool that gives a brief view of key information and allowing quick navigation between stuff. A dashboard is, by definition, an All-in-One instrument in the sense that it refers to everything the user selects. Some are “just” links to different tools, other are structured information within the dashboard. Notion is the most powerful organizer I have ever tried. The database features are altogether a dream come true. With a Notion app account you get a workspace in which you can arrange personal or shared stuff. You can create and join more work-spaces. In a workspace you can create areas with pages and subpages that holds the information and data in structured documents, tables and boards. Database of production tasks – content, webmaster, seo etc. Notion’s database is a type of page that contains a dynamic spreadsheet that can be customized to every need. This allows organizing things that require sorting an filtering by various properties. Our content management database has 17 properties. All records in the database have a notes area and a discussion zone. Databases can be viewed as tables, sorted kanban-style boards or in a calendar. Databases can be connected. In my test, the production tasks database is connected to the content management database. Each task can be connected to a specific content item. 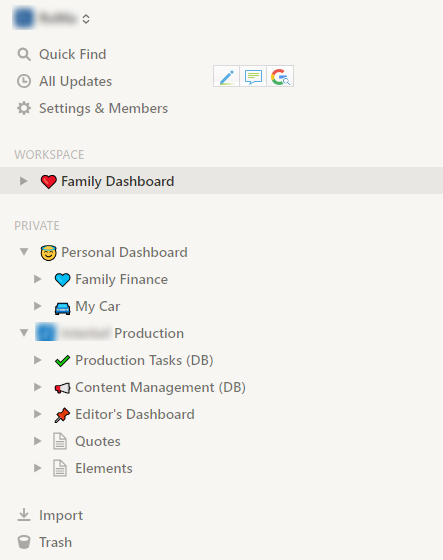 In the content management database, the editors can see what tasks are associated with every item. When a content item is ready to publish in the Editor’s Dashboard, we just drag it to the database, where it automatically gets all the property fields. A simple and effective content workflow. Setting a new Notion account might be a little confusing, therefore I created a separate guide: Notion Settings – Best Practice for a New Account and Workspace. Writing in Notion is cool. The writing area is clean and well featured. The experience of writing resembles MS Word, Dropbox Paper and Medium. WordPress is going in that path with the upcoming Gutenberg version. Notion’s writing environment makes an ideal tool for drafts. Amazingly, Notion app is mentioned as a note-taking alternative, whereas it doesn’t yet have a clipper, or even a bookmarklet, for capturing and collecting. To add a link in Notion you need to copy the URL and paste it in a specific block. That’s old-school. Notion team is promising a web clipper on their roadmap. Opt-in a quick note – text, image, link or any other form – requires few clicks: open the app, choose a workspace, create a new task, type a title and then your note. For taking notes while writing, editing or planning Notion is perfect. For note-taking on the go and for bookmarking – let’s say it – Notion is not even close. When Notion app will get a clipper (that is on their road map) I will reconsider. Till then Google Keep is my note-taking app, where I collect thoughts and bookmarks for processing later and moving to the right place, that now might be in Notion. Although Notion offers great tools to create and manage tasks, it is not a task management solution. At this stage don’t even try. The tasks database I have created for the test project (that is now officially managed in Notion) contains only production tasks, specific for that certain project. There many more tasks associated with this project – management, billing etc. – that are managed in Asana. 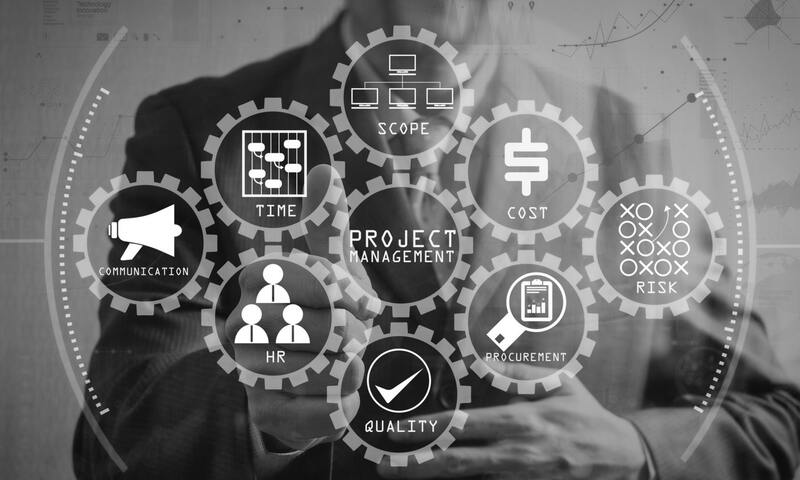 We are not managing the project in Notion application, we are managing the production part of the project in Notion app.